♥ Want to adopt a cat from us? Here's how! 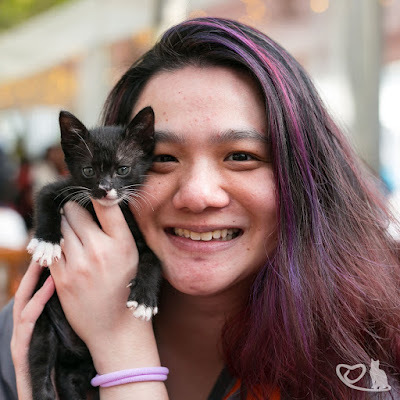 ♥ Come volunteer to clean the foster space and play with kitties! What is black and white, small, furry and causes total chaos? Introducing the Mini Moo Kittens! They are actually 2 batches of kittens rescued from two different locations. The Warrior Kittens, Charlie (male), Batman (male) and Ninja (female), were found in Yishun at a rubbish collection centre. They were admitted into the cattery back in January 12th. 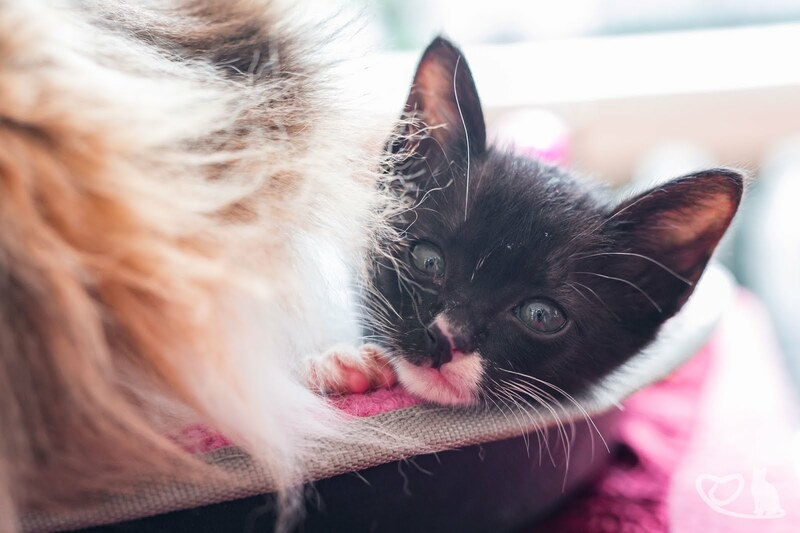 The second batch of fluffy moos are the Halloween Kittens which were rescued from Jalan Haji Salam around Bedok in November last year (just after Halloween). They are siblings - Marshmallow (Male) and Candy (Female), with a third Spooky who has since found a furever home! The kittens have grown a bit (that’s an understatement, considering they’re cats) and have developed their own quirky personalities. All the kittens have been vaccinated and are waiting to be sterilised, so they are basically ready to go to a forever home! If you'd love to bring them home and be their furever hooman, click here to find out more about our adoption procedures! Donate to our cause by making a deposit to our Love Kuching Project DBS Current Account 027-907-655-0 or via credit card. Please email fundraising [at] lovekuchingproject.org after giving. It’s hard to believe that our last major wishlist was in 2015. This year, we have been touched by even more cat angels and volunteers alike, and for the upcoming holiday season, we would like to humbly ask you to help us with our year-end wishlist! This year we have three major needs that need to be fulfilled: basic needs, household kitchen equipment and furniture. We need new household equipment to meet new needs for our cats, and we need new furniture (like shelves, drawers and a new countertop) as our current plastic shelving and storage solutions have been deteriorating. 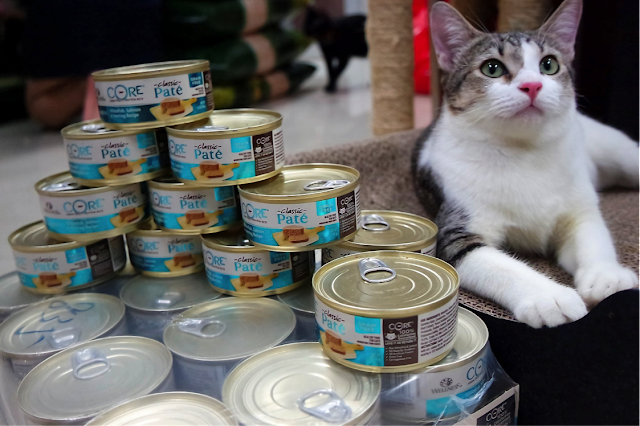 We definitely need wet Addiction and Wellness canned food for our cats! We use up to six cans of Wellness or Addiction each day, and our supplies run low pretty fast. You can help us purchase Addiction or Wellness at Polypets here. We’ll mostly be using these equipment for cat care and food preparation. Some are to replace the items that have broken down, and others are stuff that we now need because our cats need them. All of these equipment can be found on our Amazon wishlist, here. We’ve listed them below in order of priority, so you know what we need most! We need a blender to properly mash Hitam’s food. As her throat ulcers begin to deteriorate, we’ll need to begin to blend her food into a puree, so that it goes down smoothly for her. It’ll also help with her pain; the grand dame often feels pain as she eats, and having semi-solid food would help. 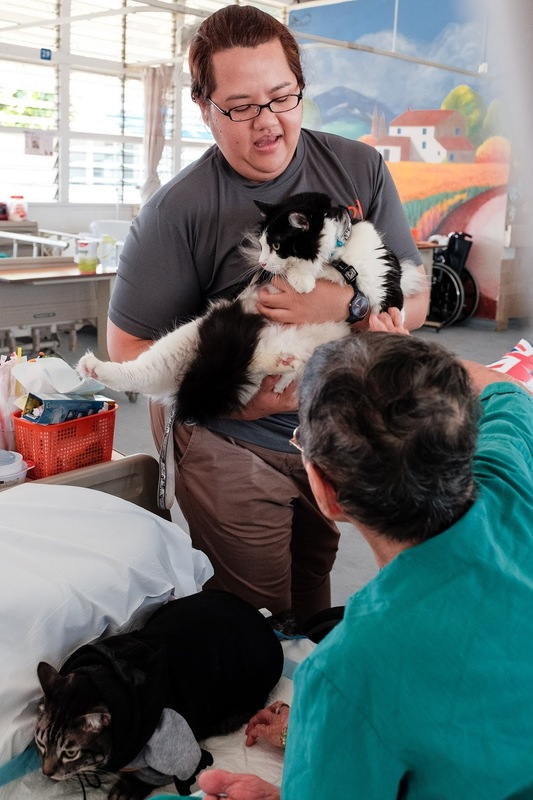 The blender will also be useful for future cats who have a similar condition like Hitam, and for cats that need more intensive care. An ideal replacement hairdryer like the Philips HP8230 would have a cold setting that would allow us to keep our kittens and cats from being scalded by it. We need a separate aroma diffuser for the quarantine suite, to soothe the cats within using aromatherapy oils. We learnt this when Wally, our new quarantine suite resident, first came in to the quarantine suite. Wally was very much a scaredy cat, and was very stressed out by his new environment. We had a small aromatherapy diffuser inside from when Tom was in the quarantine suite, but it wasn’t very effective. If we get a new aromatherapy diffuser in the quarantine suite, it will help us with conditions like cat flu, where aromatherapy oils have helped. Our old air purifier - which had served the cattery for over three years - had broke earlier in October, and our attempts to fix it had failed instead. We bought a replacement - the Coway AP1512HH (top rated by Wirecutter) but we’re still using an old Sharp air purifier in the quarantine suite, which, while somewhat effective, does not kill germs. Without the air purifier, there is no circulation within the quarantine suite, which can make it very stuffy and very stifling for our quarantine resident, who may have to be there for months. So we’re looking for a new air purifier. Our pick - the Oregon Scientific CF8410 - has a UVC light that will be able to kill airborne germs in the quarantine suite, which will be effective for cats that have cat flu and other, more potent illnesses. We’re also looking to have an electric kettle with variable temperature control, to heat up food for the cats. Our canned food comes out at room temperature (or colder) and it would help if we were able to heat it up. While we do have a microwave and an existing kettle, both only serve to bring water to a boil and does not allow for variable temperature control. We’ve listed the Xiaomi smart electric kettle (above) on our wishlist, but we’re also okay if you purchase other similar kettles, as long as they have temperature settings! The state of our non-kitty furniture today can really be described as bad. The furniture has been with us since before we came to our current location in 2015, and some of them are really breaking down. The plastic drawers are also buckling under the weight of items being stuffed inside (and items being put on top). We’re hoping to replace them with new furniture from IKEA that would last longer. They’d also reduce the number of hiding spots small kittens and cats will hide under; our current drawers are accessible from the back and kittens have crept in while humans were sorting drawers out before, which makes it dangerous. How do you purchase these items for us? Coordinate with our FLOAT manager (who’s in charge of Facilities Management) to determine when the best time would be to receive truck delivery. You can email him at assist@lovekuchingproject.org. We’ll send you pictures once we assemble the items you’ve gifted to us. This specially customised cabinet costs $390 and will be used to keep key medical equipment (like subcut lines) and Foster Care items like blankets. It’ll be used to secure items that were in the orange cabinet. If you’d like to purchase this item on our behalf, you can contact our FLOAT manager for the customisation code for the EKET Cabinet (that you can access via the EKET planner). This customised BROR shelf (which costs $224.50) will replace our current rusting steel medical shelf. The BROR shelf is made of powdered galvanised steel, which adds an additional layer of protection against humidity, and it also allows us to hang items like subcut lines on hooks, as well as store special items on the side. The NORDLI chest of three drawers (which costs $165) will be used to contain our needles, over-the-counter pet medication (like Revolution) and our pee pads. It’ll be used to replace our three-coloured plastic drawers and secure the items that were inside it. We’d like to use the FLYTTA kitchen trolley (which costs $249) as a replacement for our current medical table, which is made out of pine. Even though pine has been a relatively good and durable material so far, we’re concerned that the porous nature of wood will allow fluids like blood to accumulate. While we clean properly and regularly, there’s only so much we can do to keep the current medical table clean. Thank you so much for looking through our wishlist! Once again, let us know if you want to purchase an item on this wishlist for us — you can reach out to our Fundraising manager, Deborah, by messaging 9770 1894 or emailing fundraising (at) lovekuchingproject.org. 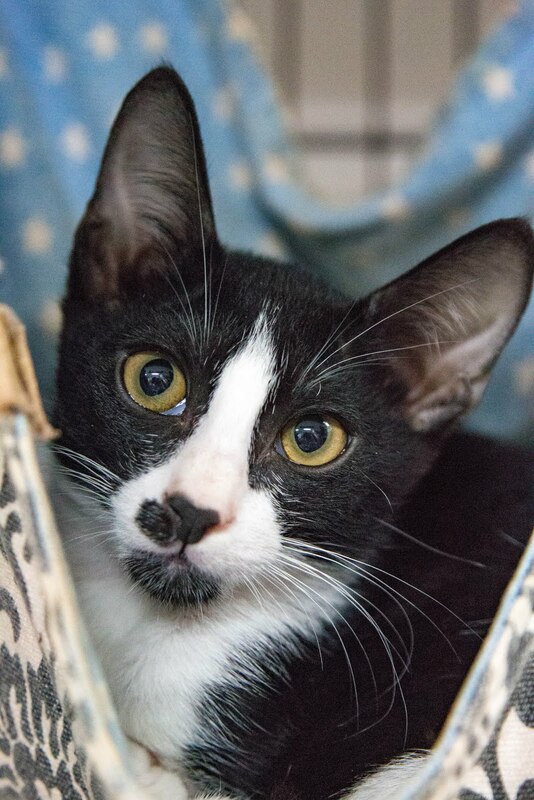 If you are looking for a feline hero, Tiny Tim is the one you are looking for. Dressed in black fur from head to toe, he has the spirit and confidence of the Marvel Comics character. He is an active and boisterous 5 month old kitten. 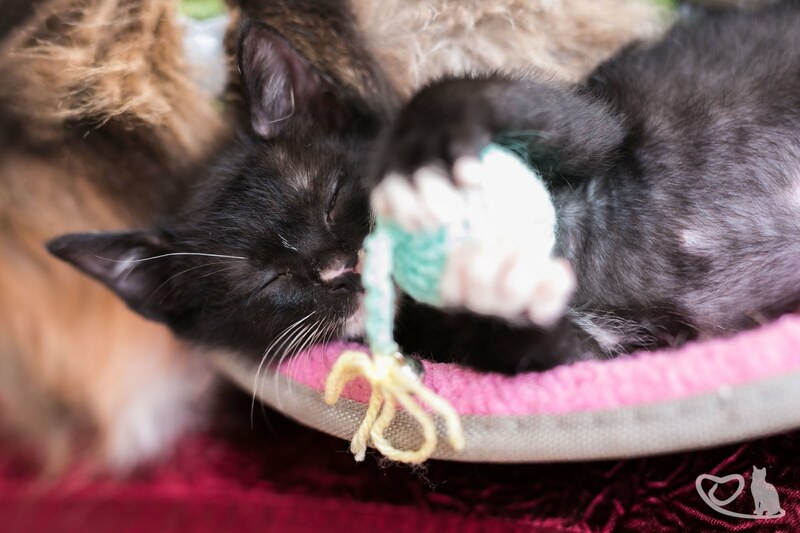 He can often be found play-fighting with other cats and enjoys being the little alpha cat of his foster household. 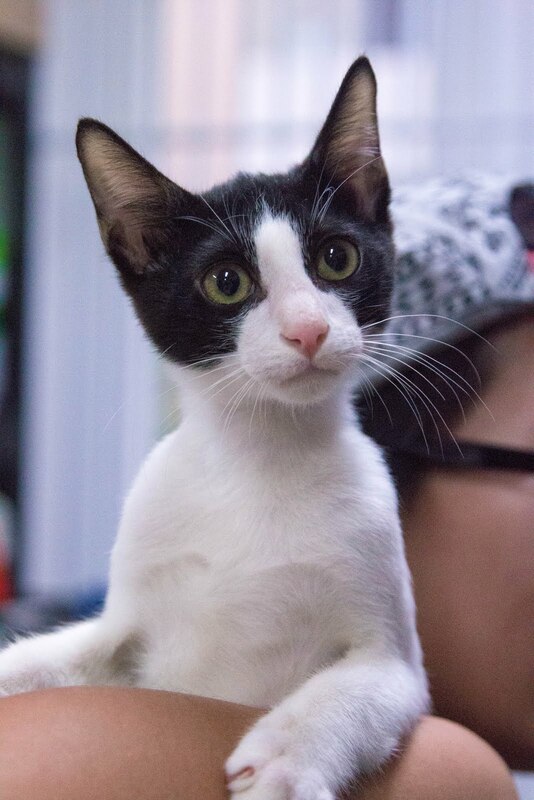 Tiny Tim was first found at a school car park located along Turf Club Road when he was about three to four weeks old. He was found with conjunctivitis, but recovered under the diligent care of his foster parent. Tiny Tim was so named because he was small in size and a little shy at the beginning, and he fell sick a couple more times along the way, suffering from diarrhea, then flu, and possible feline herpes. Feline herpes, also known as FVR, is non-contagious to humans and dogs; however it is contagious to other cats. It is easily managed with a nutritious diet and a stress-free environment, and Tim will still live his life to the best of his potential. Despite some setbacks on his health, Tiny Tim is a warrior and fighter. He still is energetic and loves feather wands and toys that make sounds. Not only is he fun to be with, he is also an easy-going cat. Tiny Tim does not make a fuss about bath time and will follow you around the house, always ready for a new game. He is friendly with children, and will be a great playmate for families with kids as he loves to play as much as he loves being snuggled and carried around. 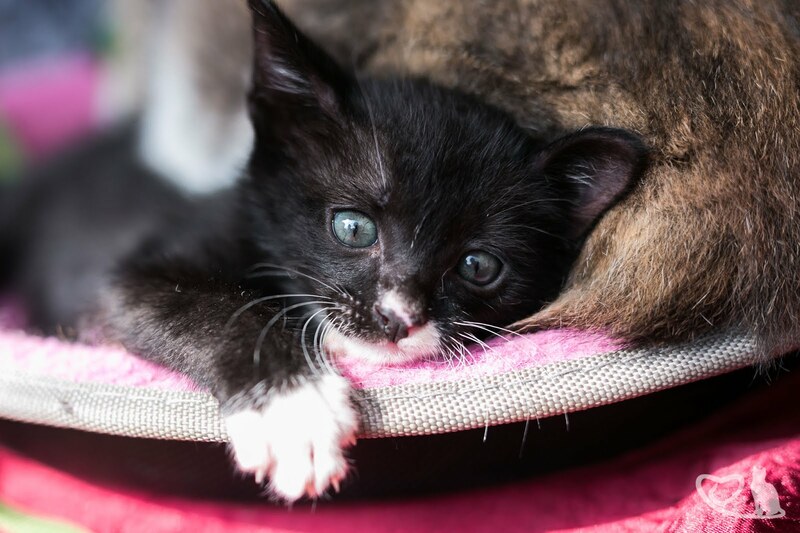 If you think Tiny Tim is the addition to your household you have been looking for, you’re in luck. Tiny Tim is up for adoption! He has been fully dewormed and vaccinated. Please read the info on the adoption page carefully and answer the adoption questionnaire. Any questions can be sent to Diana at adopt@lovekuchingproject.org. She will screen responses to the questionnaire and contact suitable prospective adopters for a visit to the cattery. Can’t adopt? Please consider donating and sharing our donation appeals. 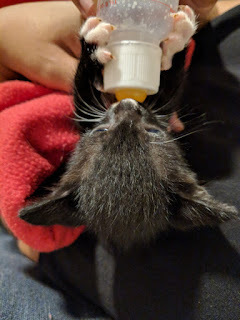 As a tiny, not-for-profit shelter, we rely on donations and volunteers in order to keep rescuing and rehabilitating community cats that need help. Rent and medical bills are high and any amount helps. You can also sign up to volunteer at our shelter for a one-time play/clean session, or write to assist@lovekuchingproject.org for long-term volunteer opportunities. 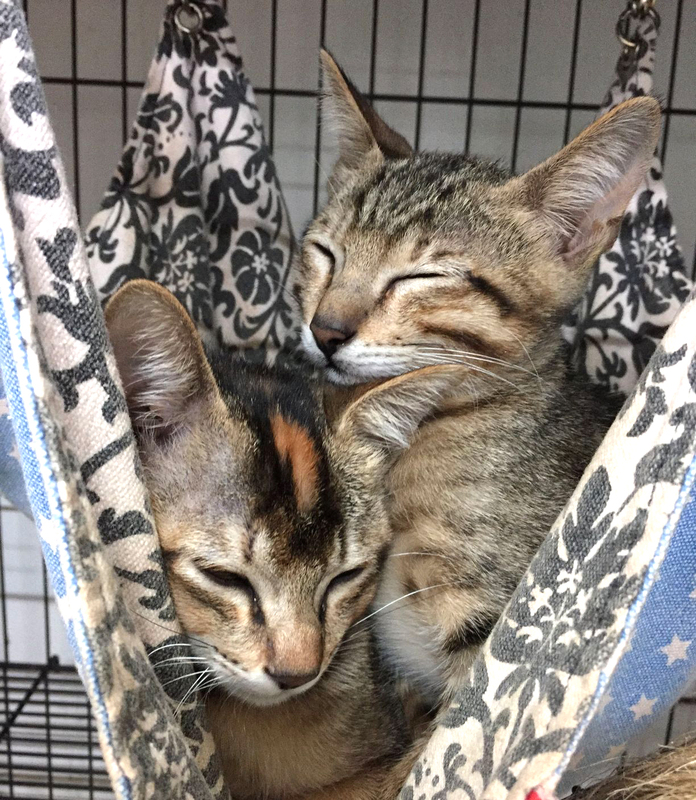 Looking for the purr-fect pair of playful twins to liven up your home? Look no further than here, because Keira and Kafka are in town! 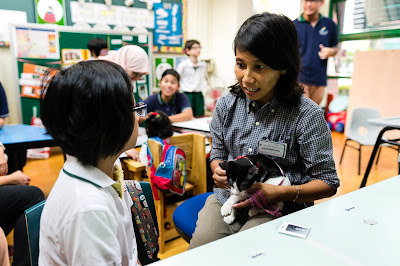 Keira and Kafka were rescued from Sungei Kadut, after their mother was killed by a stray dog. When they first came, they were quiet and a little shy, but it didn’t take long for them to realize that the cattery was theirs for the taking! Keira and Kafka soon began staking their claim, running around and climbing cages, batting the tails of other cats for fun, stealing food--and our hearts--along the way! Keira is the leader of the two, often putting Kafka in his place during fights, pinning him down and swatting him on the head. She’s fiery and talkative, and loves meowing to let people know to pay attention to her and give her cuddles… before she gets distracted by a toy and runs off again. Kafka looking ready to pounce! Kafka, while every bit as playful and eager as his sister, has a mellower side to him, often being the first to doze off after a playing session. He’s also the bigger eater of the two, often sneaking bites from other cats’ food bowls, and sometimes even climbing onto the counter to “help” with food prep! This dynamic duo always liven up the cattery with their boundless energy. They know how to keep themselves busy, and are content with even the simplest of toys. They’re also curious and mischievous, always being the first to poke their nose into something new! Keira and Kafka would do well in a house with other pets, or a house that’s all to themselves! They’ve been seen playing with our other kitten admission, Tiny Tim, and are quick to get used to the presence of other cats. Kafka and Tim having a battle! Raar! Besides being high energy, both Keira and Kafka also love being snuggled, and are happy to be picked up! Kafka in particular, loves sitting on shoulders and surveying his kingdom. Both kittens are free-spirits with wild souls, so if you’re looking for a devilishly adorable set of twin terrors, Keira and Kafka could be the pair for you! Resting after a hard day of playing. For interested adopters, do read through our adoption page and answer our adoption questionnaire. If you have any questions regarding the adoption process, or these two adorable rascals, please read the info on the adoption page carefully and answer the adoption questionnaire. Any questions can be sent to Diana at adopt@lovekuchingproject.org. She will screen responses to the questionnaire and contact suitable prospective adopters for a visit to the cattery. Are you looking for the best cat son who gets along with bigger cats and will forever love you? Meet Russ. 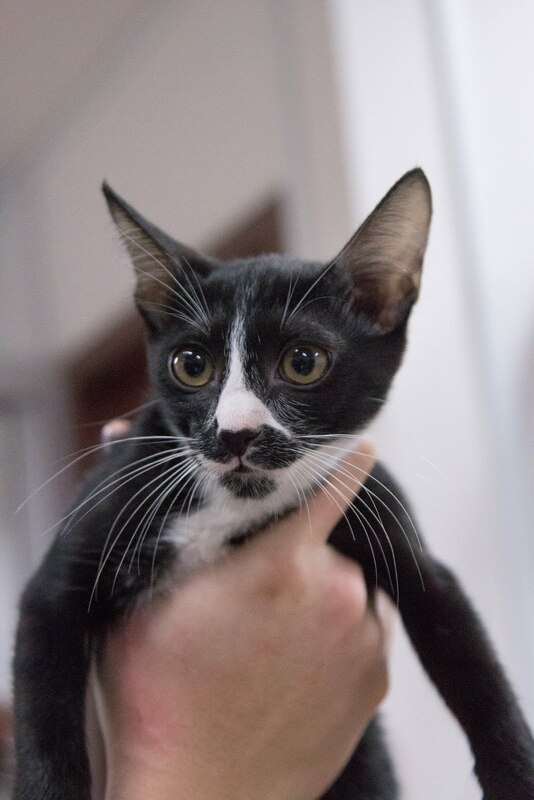 Russ is a Tuxedo kitten with white patches on all four paws that resemble little finger gloves, and a heart bigger than his tiny body. He was found abandoned in a box outside of a condominium when he was a month old, and not in great shape: he was heavily constipated, and as a result of rough living, he was full of worms. Thanks to his foster parents, Russ is now doing much better. Friendly with bigger cats, Russ has been known to snuggle with bigger, fluffier cats and use them as his pillow while they look at him fondly (or resignedly). He also loves to jump on other adult cats and engage in play with them, usually trying to play with their tails. However, he’s also able to entertain himself, spending long periods of time wrestling with his favourite kitty toy. He is a very affectionate cat and needs many cuddles. When he wants to he will seek out his foster parents for a nap, climbing onto their shoulders and kneading their necks before he falls asleep. The tiny claws hurt but hey, who can complain about a neck massage? He’s tiny in size, but big on climbing, napping and being carried around like a small child. He already has a fan club amongst our volunteers and made his debut as a cat model to rave reviews at our most recent event A Valentine’s Fairytail @ CHIJMES, where he, alongside his kitty comrades helped raise money for the Love Kuching Project. He’s also proven to be very good as a therapy cat, and is patient with people of all ages. If you think Russ is the cat son you have been looking all your life, you’re in luck. Russ is up for adoption! He has been fully dewormed and vaccinated. Please read the info on the adoption page carefully and answer the adoption questionnaire. Any questions can be sent to Diana at adopt@lovekuchingproject.org. She will screen responses to the questionnaire and contact suitable prospective adopters for a visit to the cattery. Donate to our cause by making a deposit to our Love Kuching Project DBS Current Account 027-907655-0 or via credit card. Our New Year Auspicious Wishlist! We have been touched by many of you cat angels last year, thank you! And since we’ve missed the christmas season, we decided to plan for the CNY festivities instead! For those of you who would like to give in the most practical of ways, here’s our 5 highest ranking chinese new year wishlist items. If there are any items in this list that you wish to buy for us, let us know! This way there will not be any double orders, and we will also be able to partner donors up if they’d prefer to divide and conquer the costs for a particular item. Those items that you would like to either mail / courier to us or come in person with them, we will also give you our address. (We are a closed-admission shelter and visits are by appointment, so we cannot accept surprise drop offs of these gifts...) Alternatively, you may also sponsor a gift. 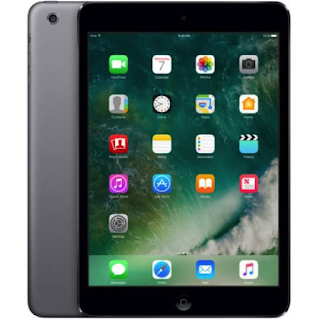 Our respective Team Managers will then make the purchase on your behalf. When your gift arrives, we’ll snap a picture and mail it to you along with a handwritten thank you note! 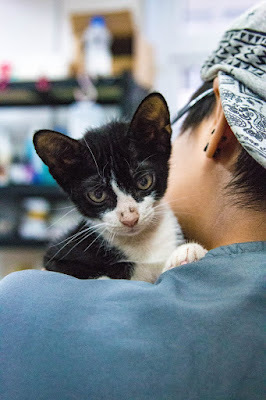 Early this year, our Rescue Team made a special effort to reignite our FosNet arm, which takes in few-weeks old abandoned kittens that are too sick or weak to be placed with the other cats in the cattery. This came about because of the huge spike in the number of rescue submissions for abandoned kittens in the months of November and December last year. As a small cattery, we do not have the space or resources to take in so many kittens since our primary focus is still on rehabilitating and providing clinical care for the injured and chonically ill cats in our community. As such, we have come to rely increasingly on our FosNet volunteers. With kittens, obviously the item most in need is… Yes, you guessed it, MILK! 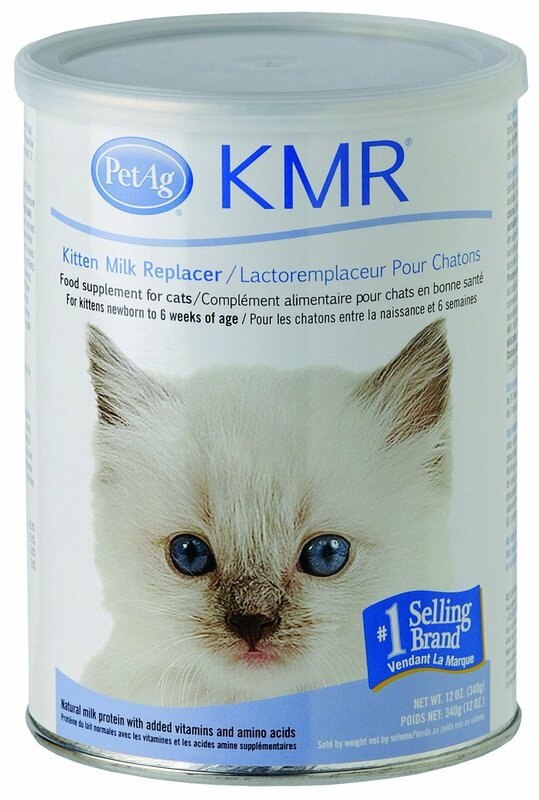 KMR Milk costs $40 for a full tin when store bought, and a single kitten (*ahem* Russ!) can polish it off in just a single week!!! Our FosNet Coordinator has come up with the smart solution of ordering KMR Milk online through Amazon, where it’d be much cheaper – approximately $15 SGD per can. If you’d like to donate KMR Milk or sponsor them, we will put you in direct contact with our FosNet Coordinator. You may also check out the awesome work she is doing with her own LKP fostercare kittens @Ledeuxchats on Instagram! Our outreach team rarely asks for anything, really. So far, the team has thrifted and saved on its operations cost – so that as much funds go directly towards helping the kittens in Fostercare as possible – essentially by self supplying all therapy related necessities. 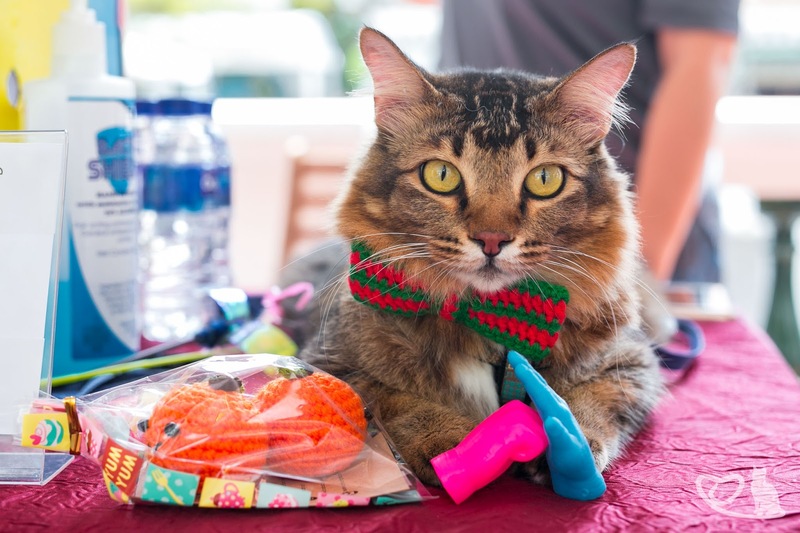 This includes: mini fans and cooler packs for the therapy cats, a portable speaker to play relaxing music for beneficiaries, cat transport carriers, harnesses, portable food and water bowls etc. etc. You name it and the outreach team has somehow managed to source for it without tapping into the general funds (mainly the volunteers bring items from their own home hahaha! Or we’ve had donors generously donate cat carriers, boxes, beds and treats to us!) So we know that when the outreach team finally ask for something, it really would be a wish-come-true for them! Curently, most of our outreach volunteers willingly absorb transport costs to and from outreach sessions into their own daily expenses. However, especially for the regular vollies who commit to fortnightly cat therapy sessions and have to grab/uber their way back and forth because of the precious cargo they are carrying (i.e. the VIP therapy cat of course!) OR become they are rushing down for sessions right after work, transport expenses can really become quite steep over time. For a start, we will be appealing for transport sponsors to support just 2 of our core members (without cars/driving license) in the outreach team. 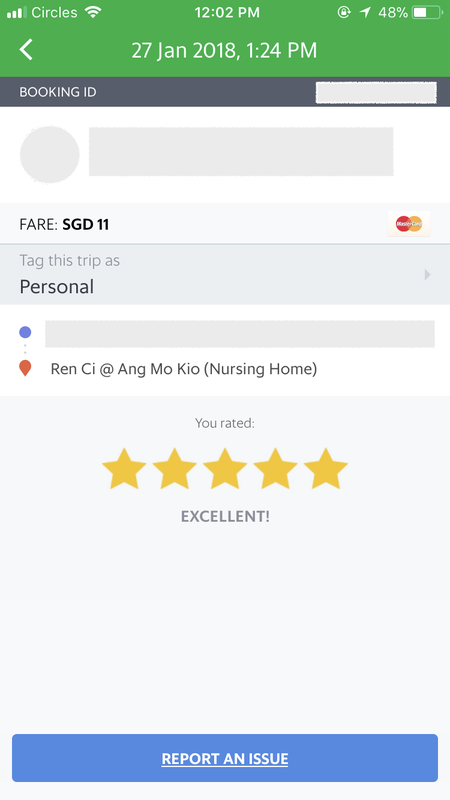 At present, a two-way journey to the therapy venue and back costs an average of $20 on Grab. We would be happy to receive sponsors. You may chose either to be put in direct contact with the volunteer you are sponsoring, or to simply contribute any sum to the Outreach Transport Fund. Also, another special request: Our Outreach Boss drives (usually with at least 3 therapy cats in the boot and as many volunteers as she can squeeze in the car) on a bi-weekly basis from her home -> cattery (pick up therapy kittens) -> therapy venue (sometimes at the other end of Singapore) -> cattery (return therapy kittens and settle them down) -> home sweet home (finally!). She commits to this insane regiment so as to physically be present to oversee and coordinate as many cat therapy sessions as is humanly possible + ensure the welfare and safety of our therapy kittens. As such, any help with Outreach Boss’ petrol costs accrued from therapy cat transportation would also be very gladly welcomed! You will be put in direct contact with Outreach Boss. Outreach boss at Rainbow Centre in 2015. To this day, she persists in leading her team with 100% commitment and 200% heart! As part of providing holistic care and mental stimulation for the cats during the long hours they spend alone in the cattery, we’ve taken the extra effort to keep a couple of fishes in a clean, (and yes, safe from cats!) enclosed tank environment. It is our duty to make sure that the fish are safe from harm. As such, one of our volunteers has recently taken the initiative to specially work with a fish guide on this matter. He will be drafting and monitoring the fish situation to ensure that the fishes are continually being well cared for. 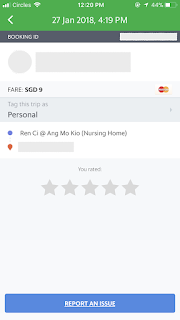 This initiative will be implemented and overseen by our Operations Team Manager after the CNY holidays. 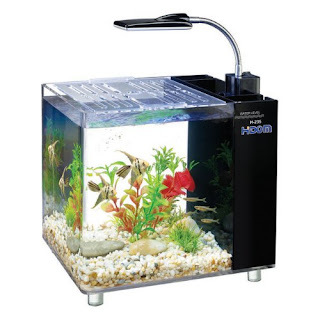 We are in need of a new fish tank that comes with a filter (if possible also tank lighting that can be set through timer). Our old tank was very kindly donated by the above volunteer but is no longer in optimal working condition due to its dislodged lid. As we don’t have a particular brand or model in mind yet, interested sponsors are welcome to shop for a promising fish tank of their choice! You will also be put in contact with our fish vollie and Operations Team Manager for fish tank related logistical arrangments/communications. • Value for money - not cheap, because cheap devices can be slow and unreliable. Our hope is that with a good electronic device in the cattery, vollies can search for training videos and view them while in the cattery, even without mobile data. This will greatly improve the quality and consistency of the clinical care received by our chronically sick cats across ALL volunteers. 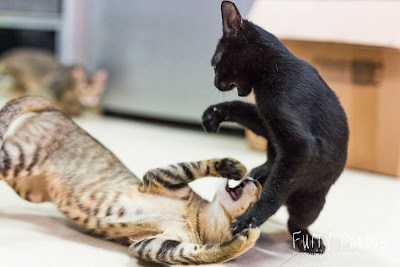 It is also especially important as there might be medical emergencies requiring a vollie to provide immediate care to a cat, and having a training device readily available on hand could mean the difference between successfully versus sub-optimally carrying out the necessary interventions. Note: Because this is one of our most expensive wishlist items to date, combined donations/sponsorships are more than welcome! We may also decide to top the amount up with our LKP operations funds (: Interested sponsors will be put in direct contact with our Operations Team Manager who will be doing the actual purchasing, refurbishing and set up of the device! 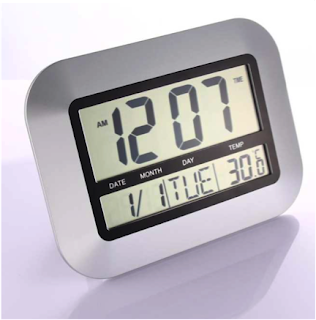 Evidently most useful for telling the time (plus date, day and room temperature)! This would be lovely as we haven’t had a display clock since moving into Joo Chiat. It’s become the norm for vollies to shout out to each other asking for the time on phones, watches etc., especially whilst shovelling litter boxes or juggling the broom with the garbage bag with the paper towels. If you are pledging to give any of these items on our wishlist, do drop our Fundraising IC an SMS/Whatsapp message at 97701894. She will get in touch with you shortly and link you up with the necessary Team Managers for any logistically arrangments, as well as respond directly to your queries. If you are keen to adopt any of the cats who are up for adoption, do take some time to read our adoption guidelines. There are three parts: the Adopters' Questionnaire, the Fees, and the Adoption Agreement. Fill the Adopters' Questionnaire (linked above). After being screened by us through your answers to our Adopters' Questionnaire you will be invited for a visit to our cattery. Visits are by appointment only. Our cattery is located at Joo Chiat Road. The address will be emailed or SMS-ed to you when we confirm a visitation. Cats that are being fostered by us receive the best care possible. They are fed premium grain-free dry and canned food, according to their age requirements. They are also given fresh supply of water 24-hours, necessary supplements, toys, and are also toilet-trained, exercised and socialised while they stay with us. 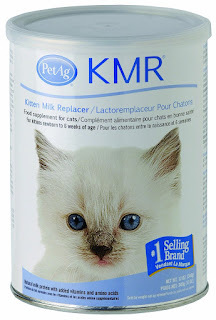 Young orphans that need to be hand-reared are bottle-fed with KMR milk replacement. They will also be cleaned and groomed to ensure that they remain well and healthy. Any sicknesses or injuries the animal may have when they come to us we will treat it with first aid and OTC medication or bring to the vet if the condition is serious. Kittens above the age of 8 weeks old will given their first booster vaccination. 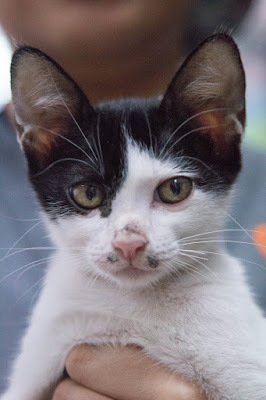 5) Help us further in caring for stray cats through sterilisation. Adopters will be required to sign an Adoption Agreement. This is to prevent adopters from profiteering by reselling the animal as well as to ensure the animal's welfare is cared for adequately in its new home. Email fundraising@lovekuchingproject.org after you give so that we can verify receipt and send you a receipt if you need one (not tax-deductible alas, as we are not a IPC).